Mr. Hammerman is Executive Vice President, General Counsel and Secretary of SIFMA. Since 2004, Mr. Hammerman has overseen SIFMA’s legal advocacy efforts and outside counsel relationships. Mr. Hammerman oversees all legal and compliance related activity, including comment letters, litigation and regulatory relationships. 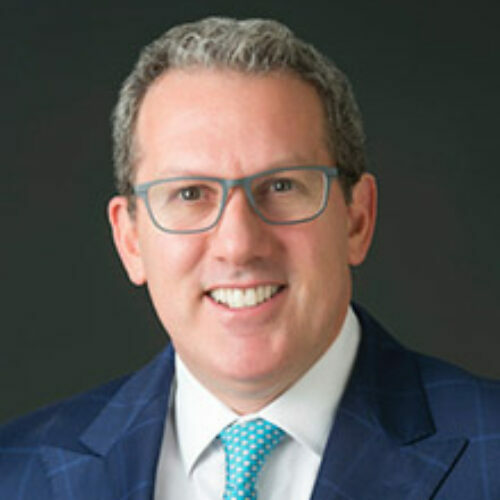 He has been intimately involved with SIFMA’s regulatory advocacy on a wide range of issues impacting the capital markets, including its advocacy on efficient and effective SRO Reform, and its pursuit of a best interest standard of care for broker-dealers while preserving the commission brokerage model of financial advice for retail clients. Mr. Hammerman also serves on the Executive Committee of SIFMA’s Compliance & Legal Society, the pre-eminent continuing education forum for compliance and legal professionals in the financial services industry. Prior to joining SIFMA, Mr. Hammerman was a partner of Clifford Chance, where over a 19-year period he represented the financial services industry on a wide variety of securities regulatory and enforcement matters before the SEC, FINRA and state regulatory authorities. His practice focused on U.S. securities regulation of U.S. and foreign financial institutions, including broker-dealers, investment advisers, banks and investment companies. A substantial part of his practice included representation of financial institutions with respect to trading, compliance and enforcement matters. Mr. Hammerman is a dedicated volunteer and supporter at the National Ability Center, based in Park City, Utah, which empowers individuals of all abilities by building self-esteem, confidence and lifetime skills through sport, recreational and educational programs. Mr. Hammerman received his law degree from Georgetown University Law Center in 1985 and received a B.A. from Emory University in 1982. He is a member of the District of Columbia and New York Bars.